Following the momentous discovery of the king’s grave in a car park in Leicester in 2012, the story ignited interest from around the world. With so much being written about the discovery, Philippa has now told her extraordinary story. Now with a new chapter. The official inside story of the life, death and remarkable discovery of history's most controversial monarch. On 22 August 1485 Richard III was killed at Bosworth Field, the last king of England to die in battle. His victorious opponent, Henry Tudor (the future Henry VII), went on to found one of our most famous ruling dynasties. Richard's body was displayed in undignified fashion for two days in nearby Leicester and then hurriedly buried in the church of the Greyfriars. Fifty years later, at the time of the dissolution of the monasteries, the king's grave was lost - its contents believed to be emptied into the river Soar and Richard III's reputation buried under a mound of Tudor propaganda. Its culmination was Shakespeare's compelling portrayal of a deformed and murderous villain, written over a hundred years after Richard's death. Now - in an incredible find - Richard III's remains have been uncovered beneath a car park in Leicester. The King's Grave traces this remarkable journey. 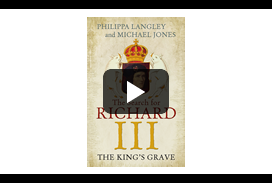 In alternate chapters, Philippa Langley, whose years of research and belief that she would find Richard in this exact spot, reveals the inside story of the search for the king's grave, and military historian Michael Jones tells of Richard's fifteenth-century life and death. The result is a compelling portrayal of one of our greatest archaeological discoveries, allowing a complete re-evaluation of our most controversial monarch - one that discards the distortions of later Tudor histories and puts the man firmly back into the context of his times. The first full-length book about the discovery of Richard III's remains by the person who led the search for his lost grave and the historian whose book spurred her on. The mystery of who Richard III really was has fascinated historians, readers and audiences familiar with Shakespeare’s portrait of a hunchbacked monster for centuries. Earlier this year, the remains of a man with a scoliosis of the spine, who was killed in battle, were discovered beneath a parking lot in Leicester, England. Screenwriter Philippa Langley, secretary of the Scottish Branch of the Richard III Society, spurred on by the work of the military historian Michael Jones, led the search that discovered the remains, certain that she had found the bones of the medieval monarch in the exact place she said they would be. When DNA verification later confirmed that the skeleton was, indeed, that of King Richard III, the discovery ranks among the great stories of passionate intuition, research and perseverance against the odds. The news of the discovery of Richard’s remains has been widely reported by the British and world media and was front page news for both the New York Times and The Washington Post. Many believe that now, with King Richard III’s remains in hand, historians will finally begin to understand what happened to him following the Battle of Bosworth (thirteen miles from Leicester) and, ultimately, to discover whether he was the unscrupulous monarch of Shakespeare’s dramatic invention or a much more benevolent king interested in the common man. Written in alternating chapters, with Richard’s 15th century life told by military historian Michael Jones (author of the critically acclaimed Bosworth 1485: Psychology of a Battle) contrasting with the 21st century eyewitness account of the search and discovery of the remains by Philippa Langley who led the search, The King’s Grave: The Discovery of Richard III's Lost Burial Place and the Clues It Holds is both an extraordinary portrait of the last Plantagenet king and the inspiring story of the search for his lost grave that finally brings the real King Richard III into the light of day. With four chapters written by Philippa Langley that detail her years of research that got her to the northern end of the Social Services car park in Leicester in search of the king's grave. This is the only Official Account of the efforts that went into finding Richard III. Reports of the dig and DNA fingerprinting were shown world-wide and won awards. But the years of prior detective work have never before been recognised. Latin texts, mediaeval priories, old maps, long-lost memorials, misleading tales of grave desecration ... not a Dan Brown novel, but a sober account of how painstaking studies of historical records achieved the goal of finding Richard III. Informed by Dr John Ashdown-Hill’s sound knowledge of the Franciscans (Greyfriars) and their architecture, together with his discovery of Richard III’s mtDNA, the LOOKING FOR RICHARD PROJECT launched by Philippa Langley rested on solid foundations. It rested equally on her own exhaustive research into the Greyfriars site, and her indomitable determination to see it through. Other members made up a team that until now kept a low profile, combining to help raise the money (the search cost some £40,000) and cultivate an ethos that laid emphasis on respect for a king who fell defending crown and country. Historian Dr David Johnson and his artist wife, Wendy Johnson, proposed a tomb design that won approval from the Richard III Society, whose members overwhelmingly financed the search. 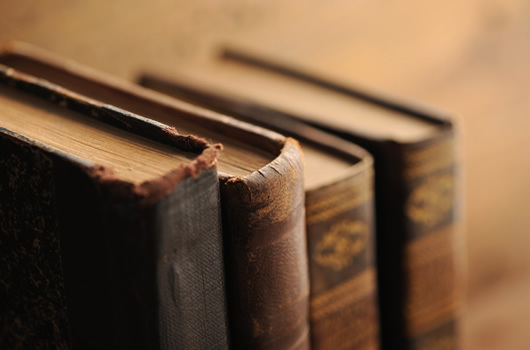 Edited with the sure touch of writer and author Annette Carson, this publication reveals how scholarship and research into 500 years of history underpinned an enterprise of which the world saw only the triumphant end result. In the face of repeated claims that ‘the university found the king’ and ‘the archaeology found the king’, those original historians and researchers have now compiled this Official Account to set the record straight.